This year the annual Out There Festival of circus and street arts in Great Yarmouth was opened for a second time with a two day conference for artists, producers, programmers and funders. 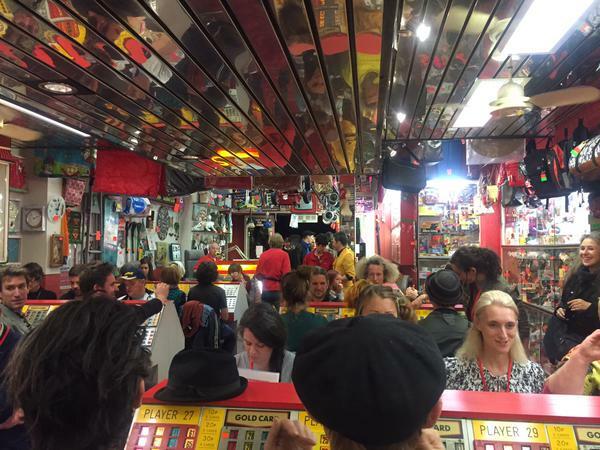 The GROW Symposium filled the 17th and 18th September with talks on creation, talent development and touring, as well as project pitches, industry news, and a riotous game of bingo in a seafront arcade. The event was produced by SeaChange Arts and Circus Futures, in partnership with the Irish Street Arts, Circus and Spectacle Network (ISACS), XTRAX, and Contact Zones. It seems fitting that the theme that ran throughout the two days was that of conversation and collaboration. SeaChange Arts have been the producers of Out There Festival since its inception in 2008 and, in the official festival launch speeches, Artistic Director Joe Mackintosh and local councillors were each as keen to praise the other for the work that has been done between them to develop a thriving artistic and community based ecology for the town. 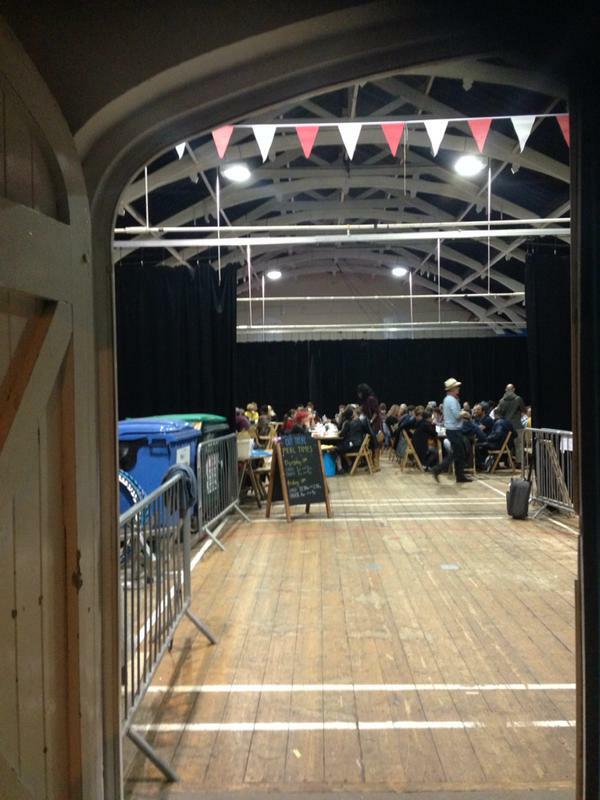 SeaChange Arts collaborate internationally as an arts development charity, but are based in Great Yarmouth, and have their own creation space in The Drill House (which, this week, is being used to serve lunch and dinner to the symposium delegates, performers and festival crew at long communal tables highly conducive to chatting). Circus Futures are a talent development and promotion organisation, facilitating networking and skill sharing for performers and creators of circus work. As the first day begins and we are urged to tweet about the events to spread the net of influence, I’m reminded that getting people in a room together to talk is only one small part of how the industry needs to look outwards and communicate more. I find it very telling when, compiling a Storify of the online mentions after the event, I discover that over 60% of the tweets are my own. Only 20% of people who engaged online made more than a single comment over the two days. Reading the Storify (here) is still a useful way to get a sense of the event and the work and issues discussed, however it’s not a ‘conversation’, which is what the Twitter app can facilitate to excellent effect when used well. The Key Note speech came from Zineb Benzekri and David Picard of French community street art group Collectif Random, with the title of Talent Development and Inspirational Working Practice. Two major threads that emerged, and would go on to be referred to several times by other delegates and speakers over the course of the conference, were that of finding ‘a communal story’ for all participants working on a project to share in, and the value of giving time to research periods. After a ‘newsround’ of announcements ranging from shows ready for touring to funding opportunities, these themes were picked up again in a session exploring the development of two collaborative projects. Billy Alwen (Cirque Bijou), Clare Hodgson (Diverse City) and Jo Mangan (The Performance Corporation) discuss their roles in bringing integrated performance company Extraordinary Bodies to life, and Vicki Amedume (Upswing) and Rebecca Lees (Stratford Circus) talk about how Bedtime Stories came to fruition. The seaside town of Great Yarmouth has a wonderful history of traditional British holiday entertainments so, when I disappointedly find that the Hippodrome has cancelled its Thursday and Friday shows of their Summer Spectacular this week, I’m kept well entertained by the Bingo session thrown for GROW delegates at Majestic Bingo – the last of the bingo facilities in a town that once had 23. Nevertheless, I will have to make a separate trip back to Great Yarmouth before too long, as I am keen to take in one of the Hippodrome’s legendary circus and water shows, in what is the UK’s only surviving total circus building still in use, with a museum that includes vintage mechanisms for sound, light and the water tank, as well as costumes, props and other memorabilia from over a century of use. 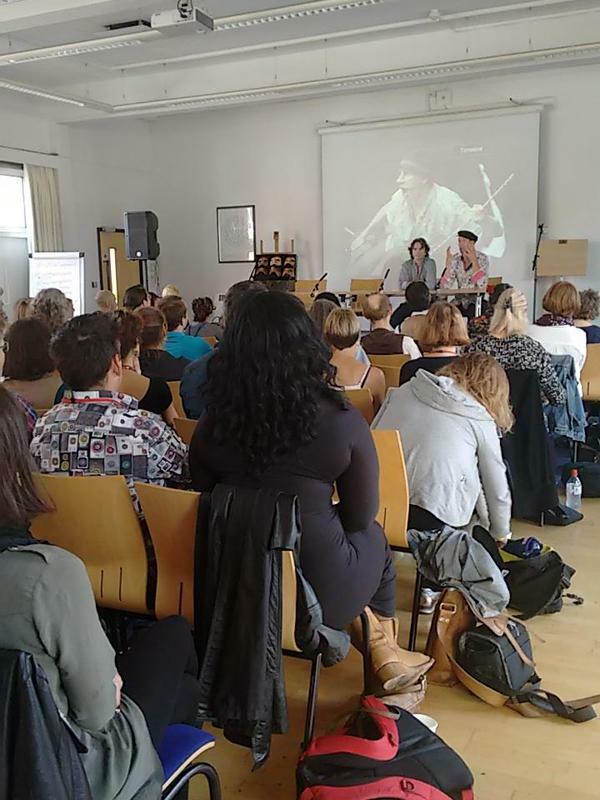 The second day of the symposium began with the first of two pecha kucha style pitching sessions, where artists and organisations have six and a half minutes and 20 slides to present their current work and seek support. The pitches were at a much higher standard overall than I saw at Canvas earlier this year, so there appears to be a strong argument for this mode of presentation, honing and tightening what needs to be communicated into its most vital form (in addition, there were fewer slots for pitches at GROW, so the increased capacity for curation may also have something to do with the improved level of professionalism and the diversity of work on display from the artists. I do like to think people are learning from seeing it done well by others too though!). Break out sessions split the delegates into two rooms, for a session on tour planning facilitated by Maggie Clarke of XTRAX, and one on talent development networks facilitated by Joe Mackintosh, with panels including artists, venue programmers, producers and network organisors. I stick around for Making Roots, on talent development models, and find again that much of the advice revolves round the importance of conversations and reciprocal relationships, something that emerges naturally within the familial nature of circus communities, but needs more bravery when reaching out to organisations with seemingly different working cultures. I particularly enjoy hearing about the JR Circus project, which is a youth circus exchange programme building a production based on Romeo & Juliet, with participants from backgrounds in contemporary, classic, and social circus training from Italy, Romania and the UK. After lunch, there is a further Pecha Kucha pitching session, and then the element I’ve been most intrigued to attend. Jaine Lumsden from Creative Scotland is trained in the Liz Lerman Critical Response Process for giving live feedback, and she introduces the method to us in a workshop demonstration. Slackline artist Stefano Di Renzo bravely premiere’s his new piece for us all, before joining us in a circle to discuss what we have just observed. 4- If an audience member has an opinion on a particular element of the work, they may ask if the artist wants to hear it. The artist is allowed to say no (for example, in this scenario, there were elements that could not be altered before the public performances this weekend, so it may have been more distracting than useful for Di Renzo to hear opinions on them at this point). Tagged as circademic, Circus, communication, conference, critique, grow, out there, seminar, street arts, symposium.